NextPrest – Multipurpose PrestaShop Theme is a fully responsive multipurpose theme that covers the popular spheres of web industry: fashion, furniture, spare parts, extreme sports. The theme is packed with a myriad of helpful features and modules and will be a great eCommerce solution for online business of any kind. We offer responsive, mobile-friendly design, a powerful admin panel, live search, embedded Blog, multilingual and multi-currency features. Set up your stunning website quickly and easily with Nextprest theme. Hit the Live Demo! Teahouse – Multipurpose PrestaShop Theme is fully customizable features and suitable for e-commerce websites of multipurpose. Teahouse theme package including 1-click (QuickStart) to get a replication of our theme demo site on your store website with same content, graphics, theme settings & layouts. Teahouse theme has a number of functioning features of a modern template for multipurpose in building a website and supporting the latest version of Prestashop. Eveprest Kids-Kids Store PrestaShop Theme is a part of the Eveprest multipurpose PrestaShop theme designed for kids and toy stores. There are 4 variants of the home page, where we have integrated many great and helpful features as Mega Menu, Newsletter Block, Wishlist Block, Multilingual, and Multicurrency support, etc. Besides great features for the homepage, we have implemented a plenty of modules for the better site customization. With this theme, you will be granted with the most responsive design in the business. Click the Live Demo and try it yourself! Kloz PrestaShop Theme is a multipurpose theme from PrestaShop with 6 premium quality topics that will definitely meet all your expectations. Look no further than this perfect theme and try it right now! Are you looking for a theme to sell brand clothes of all kind? Eveprest – Multipurpose PrestaShop Theme is a fully featured Premium PrestaShop theme that comes with 10 themes for every purpose. It is built with the help of TM Mega Layout Builder. Each theme comes with 4 readymade, conversion-optimized homepages to get you started. Administer your products with 16 helpful options with MT Product Manager. Compose and organize collections of your products and share them across social networks. Leo Minimal Responsive Prestashop Theme is a wonderful theme with 7 homepages. It is designed for diversified commodities as clothes, shoes, bags and fashion stores and multiple stores. Minimal store is suitable for any e-commerce sites. Minimal theme is totally responsive so it is completely adjustable for any devices (desktop, laptop, tablet, mobile phone) highly customizable Prestashop theme. Firstly, Minimal responsive Prestashop theme has both Bright background and clean layout will highlight your products. It also has Full-Width Sliders and Attractive Banners to showcase hot trend products or new arrivals to immediately approach customers. 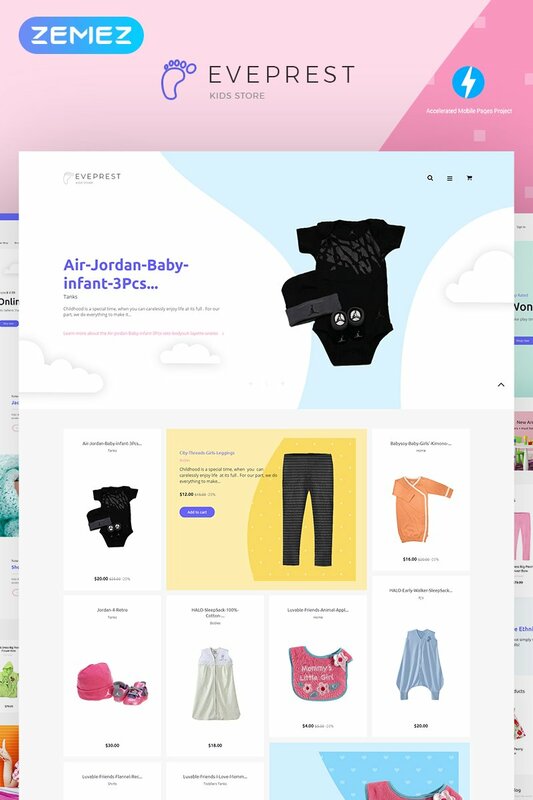 Ap StanSmith is a multi-purpose Prestashop theme, its flexibly suitable for many online shop commodities, like shoes, clothes, hats, and accessories. The theme is also compatible with all devices (PCs, desktops, Tablets, and mobiles). Our theme will automatically change the size to display on any kind of screen, neatly and flawlessly. Moreover, with the powerful Panel tool, you can set up your store in terms of Layout mode, Floating style, and text hover color. The other “co-worker” called Live Theme Editor is a useful tool to decorate the storefront by changing background skin from top to bottom, making your site energetic and dynamic. Ap Gatouxe Prestashop Theme is a fully responsive theme in Prestashop 1.7. It is a perfect design for many online stores such as food store, cake store, fruit store and others. It is a beautifully responsive Prestashop theme that seamlessly adapts for all screen sizes and devices at any resolution (desktop, laptop, tablet, mobile phone) highly customizable prestashop theme. One of outstanding features of this Prestashop theme is that was built with the best Prestashop Framework and Modules Ap Page Builder, using this powerful module permitted customer to create multiple profile with multiple header and multiple footer, owner can create as much as profile you need for marketing campaigns. 3. Mega drop down for Top menu with video and image integration. 4. Any multi-language links/categories can be added in Top Menu. 7. Carousel for New and Featured products on homepage and products page. Leo Drink is a great Prestashop theme not only because of its design it is because of its usability, flexibility and ease of customization. Leo Drinks comes with lots of built-in functionality which includes powerful admin panel. The powerful admin panel will help you manage your site better, customize easier. To setup Megamenu, customize layout (using visual drag an drop feature), apply Google fonts, enable/disable responsive feature… you now can do all the customization from the admin panel, instead of coding. The theme integrates Bootstrap (Sleek, intuitive, and powerful front-end framework for faster and easier web development). HTML5 and CSS3 are also supported for smooth performance, attractive and interactive UI. Mega Store Prestashop Theme is designed for many kind of stores. Mega Store Prestashop Theme is used good color combination. All sub pages are customized. It is very nice with its clean and professional look. Leo Supper store is a mega responsive theme for your ecommerce store with basic layout and light animation effects. It owns all essentials for a beautiful store to show your products and it has well-structured layout and most powerful features .This layout is bright and strict at the same time which makes a proper effect on customer. Template designs accentuate the refined style of goods sold. It’s a great choice to sell all goods such as Fashion Shop, Sportswear, Shoes Store, Clothing shop, Accessorize shop, Gifts Shop and more. Leo Flowers is a modern responsive 1.6 Prestashop theme which supports multiple responsive layouts,huge amount of visual effects and custom features that make your site to fit every devices : Desktop , Table, Mobile. It is really nice, smart and responsive 1.6 template, moreover, it is fully functioned and provides an unlimited style variation. It is great solution forFlowers stores, Beauty stores, Handmade stores,Gift stores, Fruits stores, Cake Stores, Tea Shop and more. The salient in homepage is theme’s structure is very creative and clear. Thanks to it , you will have a perfect theme for your store. The salient in homepage is theme’s structure is very creative and clear. Thanks to it , you will have a perfect theme for your store . This template is fully functioned and provides an unlimited style variation. Its design is perfect for Mobile store , Hi-tech shop, Electronic store, Tool shop, Accessorize shop. Newfangled Prestashop Template is a two column template with some built in addtional feature. Leo Audio Stores is multi- store responsive PrestaShop template which you can manage 4 stores in a back office . It is a great choice for audio equipment Shop, Tool Store, microphone store and much more. The highlight in homepage is slideshow. It appears at top and middle of page to attract customer by effect and beautiful image of slideshow. Moreover, beside the slideshow at middle of page, we set up “ discounting product” program, it can urge customer buy your product as fast as possible. Pts Bestshop is multi-purpose responsive Prestashop theme built with new web technologies: Bootstrap 3, SASS, HTML5, CSS3, Font Awesome 4. Woodland is an advanced and multi-purpose responsive theme for Prestashop. Woodland is simple, clean and flexible layout.All pages are well customized and beautifully designed. Main advantage of this template is no more modification in core files of Prestashop. CSS3, HTML5.